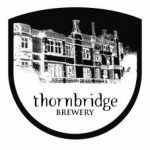 Thornbridge took on the Coach & Horses as a pub that had failed under previous ownership and turned it into a thriving business, introducing not only a wonderful range of cask ales, but a quality food offer as well. In the years since taking on the pub, they have grown sales by 400%. It’s no surprise that the pub was named as CAMRA pub of the Year. Morrisons challenged Titanic Brewery to create a range of products to match the seasons and help the supermarket to reinforce its reputation as the first retailer to market with fresh, seasonal produce. Titanic’s first beer in this range was a summer fruits beer – as Morrisons are the first supermarket to sell English strawberries. Tasting notes were provided by Roger Protz and the beer sold well. A Green Hop Beer followed in the autumn and, for Christmas, a Chestnut Ale. So successful were the beers that the range has been continued and even expanded, with a second Christmas ale planned for 2010. An even more ringing endorsement came when Green Hop Beer triumphed at the Quality Drink Awards earlier this year, winning not only the beer category, but the Platinum Q Award for the supreme champion product, outshining vintage champagne, malt whiskies and many other drinks categories. The range is described on-pack as ‘developed from an exclusive partnership between Morrisons and Titanic Brewery’, so while they appear as the supermarkets ‘own brand’, Titanic’s expertise and brewing heritage is also recognised. Moor Beer wanted to update their visual identity to match their slogan ‘Drink Moor Beer’, which would be both classic and appeal to a younger, trendier audience. The resulting branding is visually striking and has helped give Moor Beer standout on the shelf and in the pub. Bottles feature a die-cut, matte label, while pump clips feature an innovative ‘hymn board’ design: a wooden board with card inserts that can be changed when a new beer is brought on. Brochures, T-shirts and other POS also feature the new brand design. Since rebranding this spring, volumes are up by nearly 37% on the same period last year. Mill Green’s restoration of a traditional country pub and building a new micro-brewery on site, were commended by judges as a ‘model for breweries wanting to improve their environmental footprint’. The brewery incorporates the latest ‘green thinking’, which turned out to be burning local coppice wood and using solar power to heat the water. Not content to rest on their laurels, Mill Green continue to look for ways to make their brewery more energy-efficient, with plans in place to buy a store for the water used to cool the liquor. They have also bought a 14-acre field to grow barley and hops, enabling them to source very locally in future. Several other brewers have visited the site for inspiration on ‘going greener’ themselves, and The Times and CAMRA’s Beer magazine have written about it. Derby partnered with local radio station RAM FM to create a campaign that perfectly met the brewers’ objectives of raising awareness locally and driving trade, and raised money for a local charity. The mechanic was a new beer, created for and named after Dino and Pete, RAM FM’s breakfast presenters. After a high profile launch party, Dino & Pete’s Breakfast Blonde Ale received regular on-air promotion, driving customers into local pubs stocking the beer. During the 10-week campaign Derby sold over 18,000 pints of the beer, raising nearly £2,000 for charity and raising awareness among local drinkers and pubs. Freedom Brewery was praised for the Freedom Heart Fest, a three-day Festival of music and traditional games held on 31st July and 1st August this year in Barton, Staffordshire. Judges were impressed by the ‘perfect fit’ of this sponsorship, which felt like something Freedom had created, with the local Heart radio station, rather than an existing opportunity that they simply put their logo on. They also made the point that Fest represented an excellent platform to encourage trial of Freedom’s English lager, something that the category struggles with as most consumers look for lagers with a different provenance. Despite torrential rain for the event, it was a success – tickets for the music sold out, Freedom sold around 3,000 pints of lager, and raised £11,000 for local charity The Rainbows Hospice and British Heart Foundation. Purity makes effective use of social networking tools Twitter and Facebook to reach consumers. Their communication is interesting, quirky and aligned to the brand’s ‘personality’ – who else would run an on-line competition to find ugly dogs! Everything about this launch was carefully thought-through and superbly executed. The ‘fit’ between Morgan Cars, which epitomises English tradition, quality and style, with Wye Valley Brewery, makes them natural partners. The link was carried through not only into the designs for draught and bottle, which were a model of understated English elegance. Wye Valley’s newest pub, opened in July, was renamed The Morgan, with a sign that followed the same design. The brewery managed to maximise the PR opportunities from the launch, securing excellent local and industry press coverage. In a departure from previous years, our overall winner for 2009 has not been chosen from one of the category winners alone. The winning brewery has indeed won a category with one of its entries, but the judges decided to combine that achievement with the undoubted quality of its other (less successful) entries, in recognition of a wide-ranging and extremely impressive overall commitment to the proactive marketing that must be utilised to complement the brewing of exceptionally good beer. 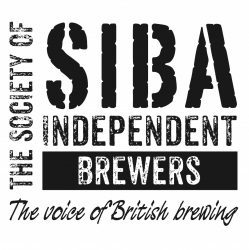 This really does represent what the SIBA Brewing Business Awards stand for. At all stages, Batemans and M+B worked together to maximise the PR opportunities from the competition, which attracted excellent press coverage. M+B are keen to run the promotion again during Cask Ale Week 2010. RCH has helped the farm shop at Puxton Park, a farm park close to the brewery in Somerset, to develop a local bottled beer list. All the beers in the shop are sourced from within a 50 mile radius, and state their food miles on the label. RCH has also brewed a Puxton Ale, sold in the shop and the restaurant. Acorn moved to a new 20 barrel-brew-length plant in Barnsley in 2007, doubling their brewing capacity. The launch of the new brewery, attended by cricket and Barnsley legend Dickie Bird, was the launchpad for a new and very effective PR campaign by Acorn, which has brought them consistent high-profile press coverage across Yorkshire over the last two years. Sales over Christmas 2008 were up by 20% on the previous year, and much of this is down to the greater awareness created by the PR campaign. Lymestone has used electronic media since its launch in 2008. The website, designed to present the brewery in a fun, tongue-in-cheek way, has been a great success, thanks to interesting, entertaining content and clever search engine optimisation that brings customers to the site. As an example of the website’s popularity, brewery tours now book up as soon as they are announced on the it. Keystone Brewery, who have partnered with a local solar thermal installation contractor, Soltrac. They have reduced their hot energy requirement by 15-25% and Soltrac uses results from Keystone to recommend energy-saving systems for domestic customers. Wood Brewery launched Triple A – Air Ambulance Ale – to mark 18 years of the service in the West Midlands, donating a percentage of the price of every bottle and draught pint sold. The sponsorship was praised by judges as an excellent example of a brewer ‘putting something back’ into its local community.